Every time I create a new Express app, I make sure a few changes to fit my need. 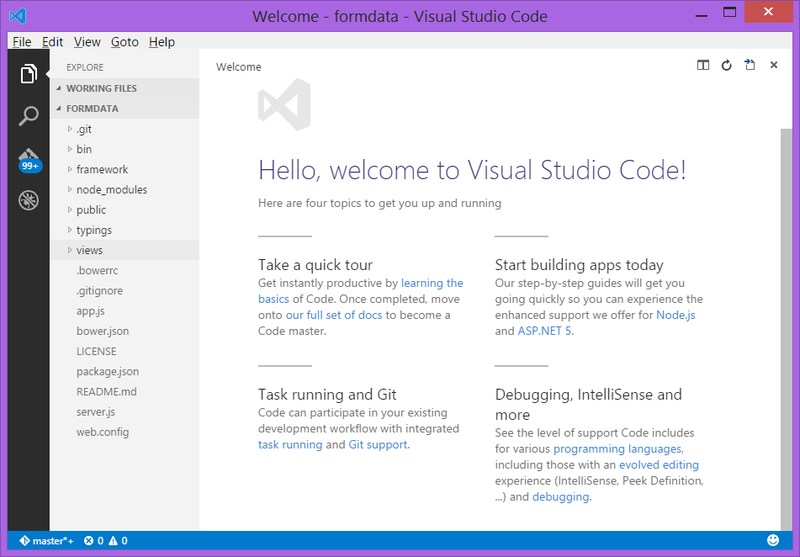 In this post, I will focus on starting from scratch on fundamentals towards publishing to Azure. First of all I create a Node.js app, and install Express. This is not the best example to showcase the true power of Emmet snippets, but you get the idea. You will notice that the bootstrap component was installed inside public folder, now you can go ahead and refer to these resources from your views. It’s often a painful experience partially due to lack of documentation on how to make Node.js apps run on Azure. You have written a perfectly alright Node.js app and your expectation is that it would run as-is after deploying to Azure, but it wouldn’t. Often times, you will end up with this annoying and at the same time frustrating message: “The resource you are looking for has been removed, had its name changed, or is temporarily unavailable.” or some other HTTP 500 error message. However, there’s a blessing in it. Because it has failed and I will be covering the solution in a bit, it opens up a door to configure Node.js apps in even more ways. Lets take a look. It simply redirects the request to Express. Do you recall when Express was installed it also created a bin/www file where it does the server-side infrastructure handling? This entry was posted in Open Source Tech. and tagged Azure, bower, ejs, express, iis, iisnode, jade, Node.js on June 3, 2015 by Tanzim Saqib.